There are many conferences and events that introduce new widgets each year to the first responder market. These products are developed and improved to solve problems. And most every agency has problems. But resources are tight, and the list of necessary equipment to enable safe and effective public safety functions is extensive and expensive. If you look around your municipality, you may find that different departments purchase equipment, goods, and services with different processes. In many cases, the process to get new or updated equipment is convoluted and daunting, often requiring multiple meetings with submissions in different formats and several levels of approvals. We understand that these processes are in place and intended to prevent fraud and abuse, but typically it’s all about the bottom line. Standardizing the approach to purchasing, sustaining, and replacing public safety equipment will allow the different disciplines to have a repeatable process, expected steps and “gates” but with the flexibility to adapt to any discipline and any equipment or service. This approach will also help with replacing equipment, “planned obsolescence” by tracking the lifecycle of what you own today, and projecting from the very beginning, when you will need to upgrade. The approach developed will also provide justification for why your agency needs what it needs. This is probably the most important reason for a standardized approach to getting the equipment, services, and other things your agency needs. Many times there is an assumption that community leaders will “just understand” why something needs replacing, upgrading or first time procurement. There may be bias, where agencies must overcome assumptions by community leaders, such as, “you already do that now” or “our area isn’t big enough” or “you don’t run enough calls to have that.” Most of the time, these statements demonstrate a need for education. A need to demonstrate WHY the need exists and WHY it needs to be addressed. This approach gives you a step by logical step process to help you educate the people who approve the budget, or the grant submission, or work with other leaders in the area to fill the capability gaps existing where you are. Right up front, adopting a standardized acquisition model will help manage expectations. Your agency will know up front what will happen next. The community will also understand, once adopted, the analysis that must go into this process, and appreciate that the needs identified aren’t just “luxuries”. But I need to manage your expectations of this process. First, it requires the participants be open minded. The analysis will help to reveal gaps and needs, and even help you prioritize, but it cannot inform a mind that is already made up. There is a requirement to be able to put yourself in another person’s place because “The perspective you have is related to the seat that you occupy.” If you are unable to listen to the concerns of people in the other seats, you risk missing opportunities to be flexible and adopt creative ways to make everyone comfortable moving forward with your recommendations. There is also a requirement to be patient the first time through the process. Resistance may come more out of ignorance or insecurity, not from resistance to your needs or ideas. For example, there may be some additional steps in the beginning to educate others on, or provide resources for, the process and procedures for submitting grants. The last thing I should prepare you to expect is that once implemented, this process is easily taught to others and flexible for almost any need. Change the letterhead and signature blocks, and you can create the expected information format to your community leaders. “Stakeholder” is a very common phrase in project management in cross-discipline projects. And today most projects are across many disciplines. 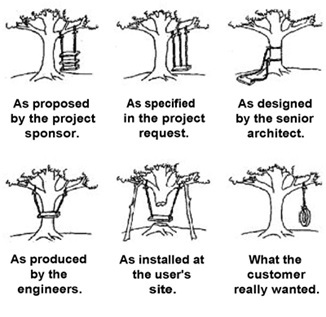 A stakeholder is simply anyone who has an interest in the project outcome. This will often include (at a minimum), organizations such as other public safety agencies, municipal budget offices, community leadership councils, local businesses or healthcare, etc. These stakeholder partners should be identified early, and a representative should be brought to the table to provide that stakeholder’s perspective if needed. When people are involved early, they can be a positive force for socializing new ideas, especially where an acquisition will benefit many different agencies (we will discuss this approach in detail in later chapters). A standardized approach will allow disciplines to speak the same “language” for discussions on the acquisition process. Every agency has different acronyms, slang, and trade language. The language can be as unique as your municipality- but ensure everyone understands what you are saying. This process helps to avoid ambiguity. “Communication” means every one hears and understands the same thing. Many agencies are very good at purchasing needed equipment within the immediate budget they are given, or the grant money awarded. The fiscal constraints often drive, out of necessity, the need to purchase equipment with a shorter life span or less capability. Taking the “long view” approach to acquisition will analyze many more factors and considerations, beyond price, early in the process. There is, therefore, a deliberate procurement of the “rightest” equipment at the right time, for a planned period of time, considering “invisible” costs such as training on the equipment and writing the SOPs/ SOGs to implement the equipment into operations. In many places, there is an effort to address many of the factors and considerations when purchasing decisions are made, but this isn’t necessarily true for every purchase or for every department. Some municipalities may not see this process as useful for lower cost items, or for one time buys. The beauty is that it is tailorable and repeatable. I would ask you to keep that open mind. You may discover that this will help document and plan acquisition needs in a way that helps your municipality, mutual aid partners, and regional readiness agencies “split” the cost burden of having capabilities available in your area. The goal for adopting any acquisition process is to see the equipment you need at the end of the day. That is the endgame, and should be the goal of any process. Start with the endgame. To get the first steps in the Acquisition for First Responders process, visit our previous articles, published in ATR: the first, What’s the Problem? Capability Gap, the Second, Before You Buy, Capturing your Needs for Equipment, and the third, You Need HOW MUCH? The Cost benefit Analysis. These steps will be pulled together in our upcoming free course, “An Acquisition Approach for First Responders” at the Region IV First Responder Expo in Columbus, GA on September 12th and 13th. Please plan to join At the Ready Magazine during the September 11th-13th Region IV Expo, and enroll in the free Acquisition Class. Dawn Kennedy, esq, is a Federal Acquisition Professional, who developed a straightforward and streamlined acquisition process for First responders. Dawn is a licensed California attorney, and the CEO of At the Ready Publications, LLC. She is a former firefighter and paramedic in Arizona, and continues to champion for responders, to educate communities in acquisition, and promote accessibility for small, rural, and midsized agencies.